I actually can’t take credit for this outfit. Every season I create a Pinterest board featuring fashion inspiration, and one outfit in particular jumped out to me as something I could recreate with what I already have in my closet. P.S., if you aren’t using Pinterest to revolutionize your fashion, you’re sleepin’ on the job. Big time. That being said, a moto jacket with a maxi skirt is a perfect transition into fall, and with the slit in the side, too? Yasss, honey, yass! And these shoes, ladies, feel like the softest leather on the planet, but they aren’t. And they’re cheap! Justfab keeps getting better and better. These are called “Brize”and you can buy them HERE or sign up for JustFAB HERE. And, of course, I couldn’t complete the look without the infamous “Ashleigh Clutch” you’ve seen on pretty much every blogger on the planet. Buy it HERE. 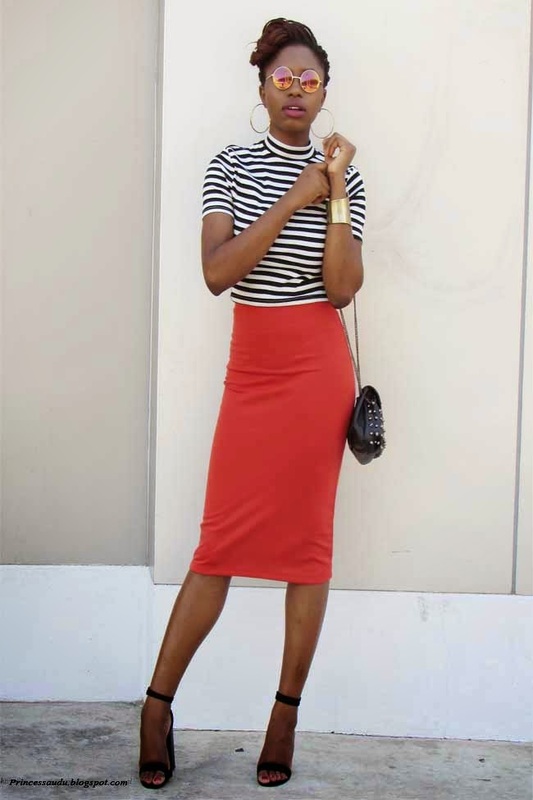 Linking up with: Pink Sole, I Would So Rock This, Whitney Nic James, and Style Honestly. Recreate this look yourself by shopping for the same, or similar pieces below! This week’s featured blogger is Sarah from Princess Audu. Head on over to Sarah’s blog and show her some love. She is killen em in this skin tight midi and striped mock neck top. Link up your fabulous fashion below for a chance to be featured next week! 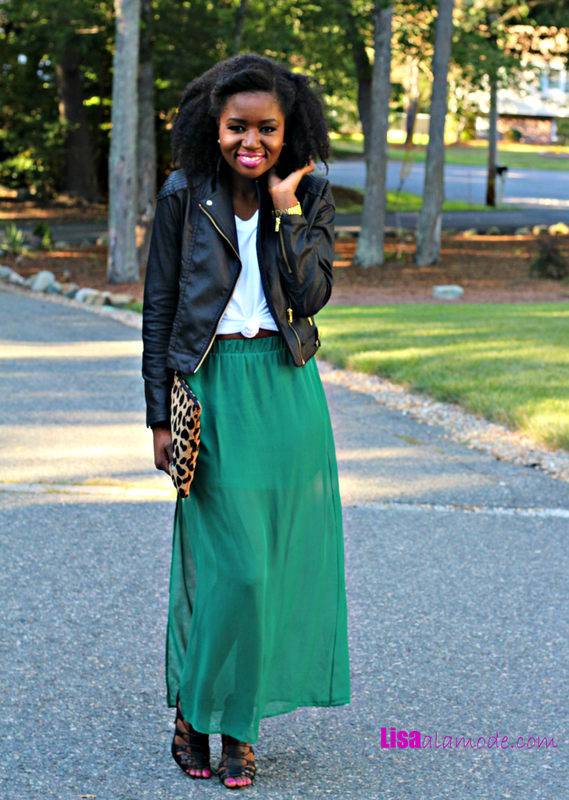 The color of that maxi is so gorgeous….and how stylish it looks with the moto jacket and the leop-print purse! Thanks for the feature! I was pleasantly surprised. I love your styling of this skirt too, your addition of the leather jacket for a touch of edge is perfect. You are so welcome! Thanks for linking up every week, too! 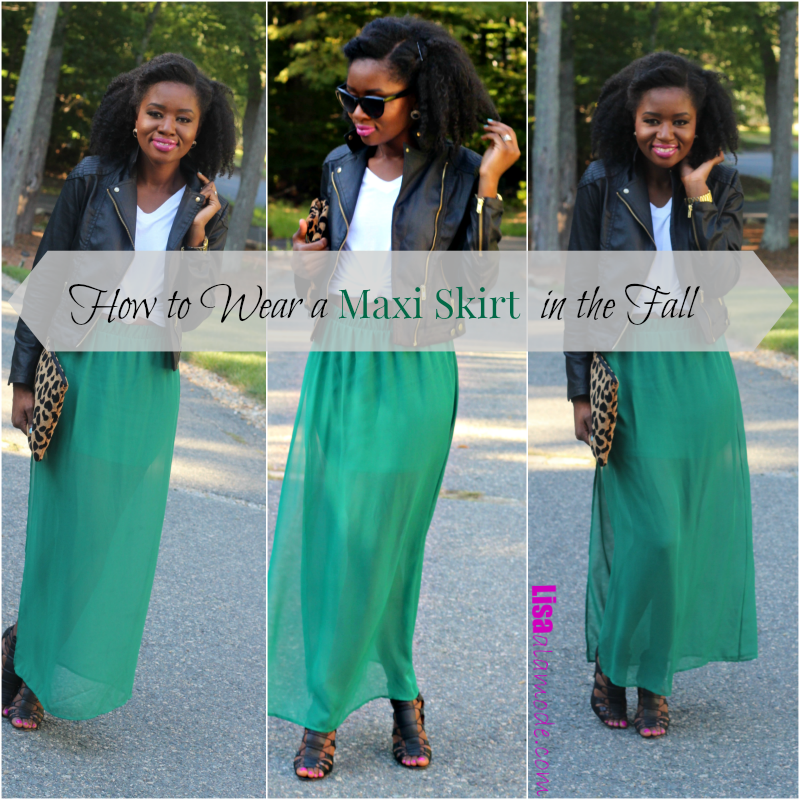 Love how you styled this maxi skirt and made it a wearable fall peice. Lisa, I love the whole outfit, but I especially love the jacket! It’s exactly what I’ve been looking to add to my closet this season. I have similar items add the ones Sarah put together, but never thought to wear them that way. Great post! Great Pre-Fall outfit indeed! 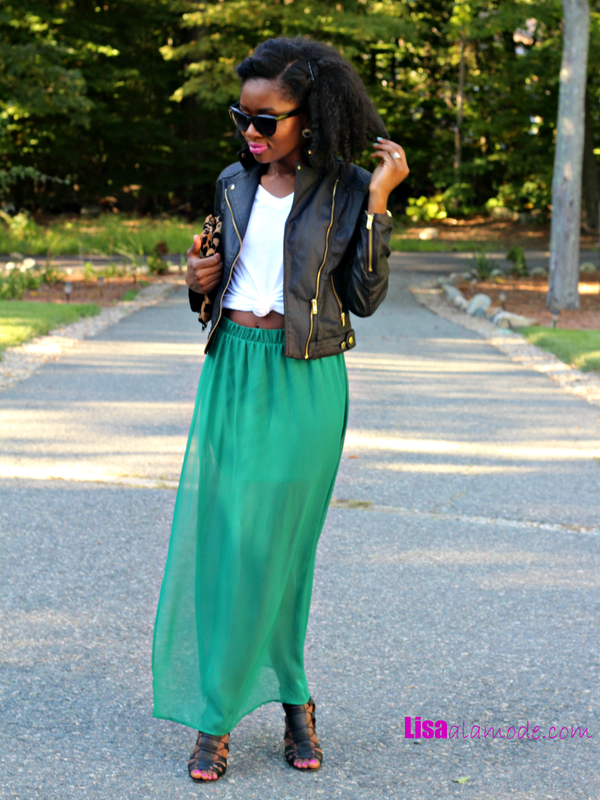 I love the moto jacket and the Maxi skirt is unique with a pretty color! ! You look great! 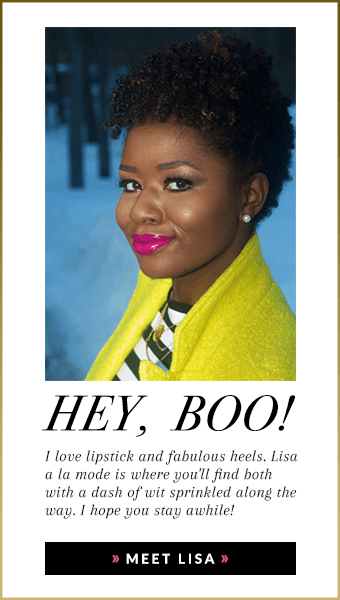 Lisa, I love how gorgeous this green looks on you! 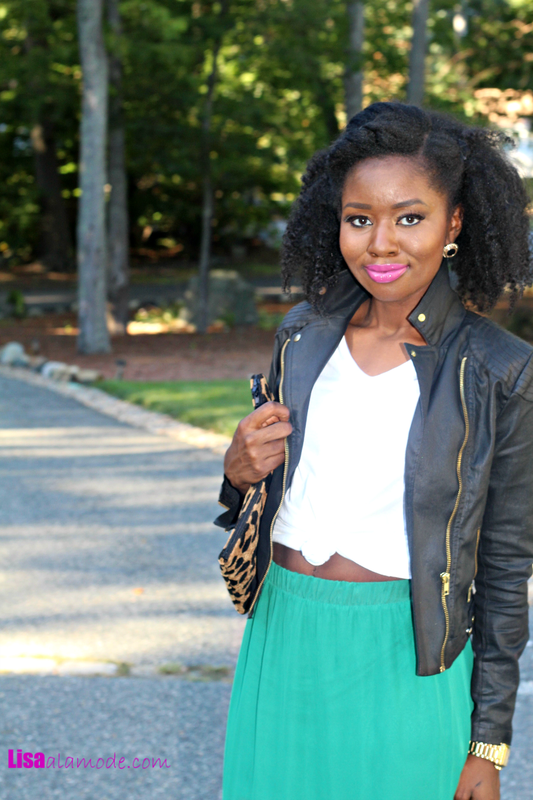 That shade of green is perfect to pair with leopard print and the leather jacket adds just the right amount of edge. Love it! I am so loving this look! I will definitely be recreating it because I have a fab maxi skirt that I forgot all about! Thanks, MaRae! I’d love to see how you recreate it! You can wear strong colors so perfect! I love the green skirt und you match it so beautiful with the jacket. Thanks Dana, and thank you for joining! Great inspiration! Your shoes are banging and I love the colors in this look too. You always look amazing in your pictures. Love the way you styled this look. Aw. Thank you Sophia! Happy Friday to you too! Beautiful outfit. That green is everything on you!!!!!! I swear pinterest pretty much helps me make my fashion moves every time. I LOVE IT!